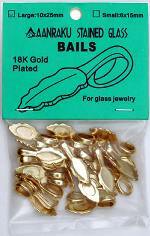 The Jewelry Bails carried by Sunshine Glassworks have been made precisely for our niche in the jewelry world. 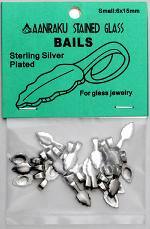 The line has been made to have a fine finish, have a cupped back to better attach the bail to your glass with the proper adhesive (see photo above) and all at a reasonable price. 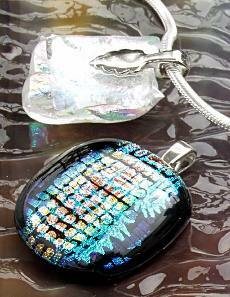 Measurements include the loop in the length. 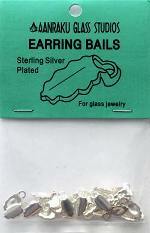 Earring Bails are packaged in packets of 6 or 24 pieces. 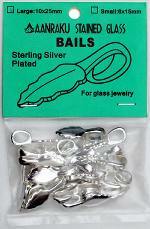 These bails are Sterling Silver Plated for a very luxurious finish. 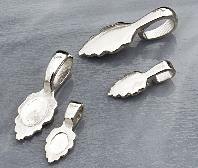 The soft silver look is very classy. 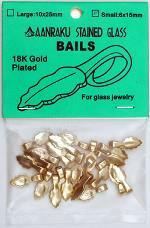 Beautiful 18 kt gold plated bails have a lustrous, durable finish.